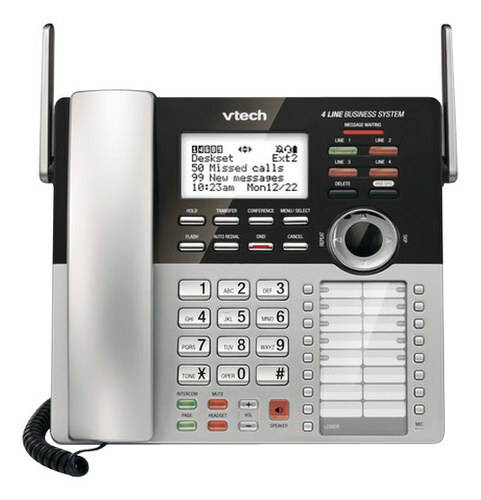 This VTech CM18445 corded phone is compatible with anywhere from 1 to 4 telephone lines and connects wirelessly with up to 10 handsets. 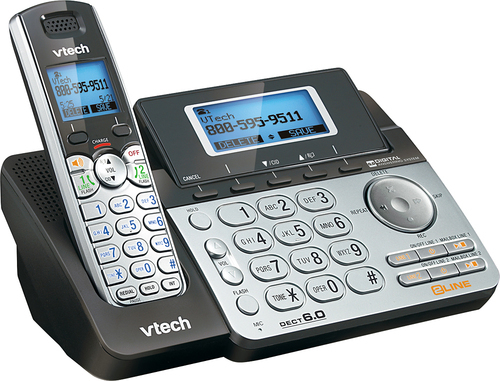 The digital answering system records up to 180 minutes of messages, announcements and memos. 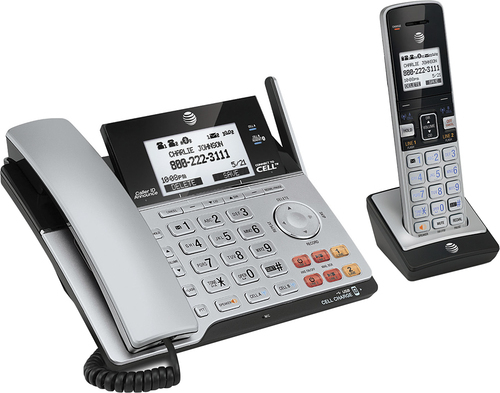 FeaturesExpandable phone system Includes 1 corded base station and is expandable to up to 10 cordless handsets. 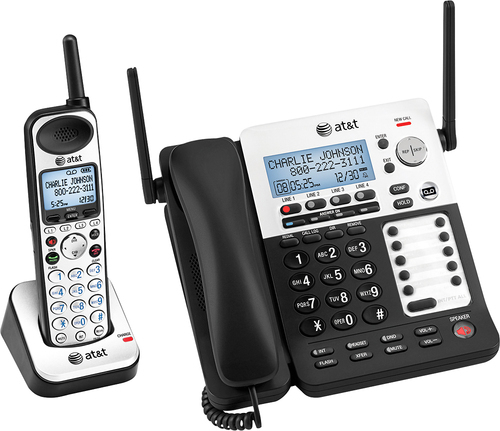 DECT 6.0 technology For clear, interference-free calls. Digital answering system Records up to 180 shared minutes of messages, outgoing announcements and memos. 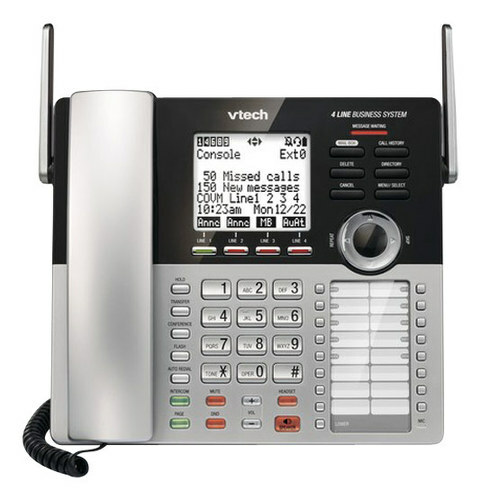 Auto attendant on each line Answers outside calls, provides callers with a company directory, forwards calls to an extension and lets callers leave voice messages. 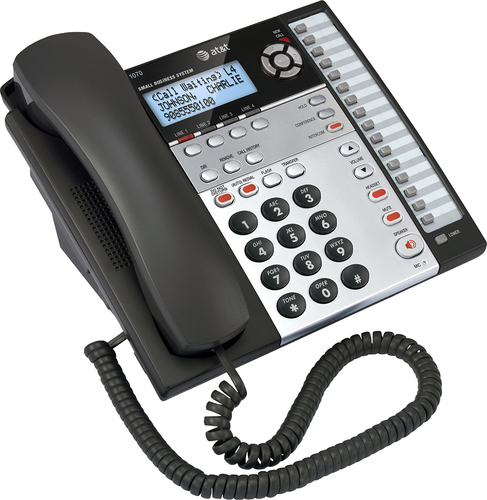 Call waiting/caller ID with 50 name and number history Displays the name and number of incoming calls and remembers up to 50 callers for easy call-back.